Fresh off of a legal victory in a lawsuit against SiriusXM, the Turtles are setting their sights on Pandora with the exact same claim. Meanwhile SiriusXM has vowed to appeal the lawsuit. SiriusXM's CFO David Frear stated at an investor conference that the company would appeal, but the argument is not that artists should not get paid. The letter of the law has many flaws in it and the issue of royalties and rights has been wrangling around for quite some time now. It just might be that the Turtles lawsuits will finally bring the issue to a head. Meanwhile, the Turtles can chase down any number of services that play pre-1972 music. Pandora is the next target. The Turtles are seeking $100 million in their California case. 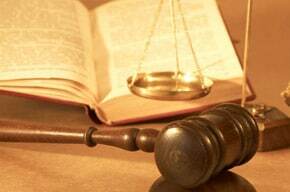 Because the suit is being appealed the issue over damages, or even if the decision holds are a long way away. Having to pay royalties on pre-1972 music would not really dent a company the size of SiriusXM in a big way, but a lawsuit awarding damages in large numbers could carry a short term impact if/when that occurs. The risk to a company like Pandora is more substantial in that Pandora does not generate the type of revenues that SiriusXM does. Looking for a legislative solution any time soon is not really in the cards either. The mid-term elections are heating up and congress is not in session. On top of that our legislators are a bit busy trying to wrestle about whether congressional approval is needed for attacks in Syria. If congress and the President can not be "Happy Together" then how should we think that a consensus can be made on royalties.